Pure, true Islam, the Quran alone, was applied only during the lifetime of the Prophet Muhammad, but in later decades, Islam was mostly distorted by discarding Quranic teachings and warping the meanings of Quranic verses which have been misinterpreted on purpose to serve the interests of Arab rulers of the Arab 'Muslim' Empire and their bloody medieval culture. The Wahabis have restored and revived that culture in our modern time, giving Islam a notorious name and tarnishing its image by unjustly ascribing their heinous crimes to it. Issuing fanatic fatwas reflects this Wahabi bloody culture. To recognize pure, true Islam (i.e., Quranism), one has to read the Arabic Quran according to its own terminology; this way, one will understand Islam as the religion of peace, tolerance, justice, pluralism, and the unlimited freedom of speech and belief. According to the Quran, Islam literally means “Submission to God alone and peace in the world.” This is why Allah has sent the final prophet Muhammad and revealed the Quran to him to be a mercy for all the humankind: "We did not send you except as mercy to humankind." (21:107). Hundreds of Quranic verses confirm that God wants all people to believe in Him alone, as the Only One God, and to submit themselves only to Him, but He gives them absolute freedom of choice to believe or to disbelieve. They will be questioned by God only on the Day of Judgment concerning their beliefs and deeds. No mortal in this world has the authority to judge anyone else based on their beliefs. God has created humankind in many different ethnicities and cultures but they have originated from one father and one mother. God says in the Quran: “O humankind, we have created you from one male and one female, and we made you into nations and tribes in order to recognize each other. Surely, the best among you in the sight of God is the most righteous. God is omniscient, cognizant.” (49:13). This Quranic verse clarifies many points as follows. 1- All of us have originated from the same father and mother; thus, we are all brothers and sisters and also equals of one another as human beings, regardless of color, race, wealth, power, status, and gender. 2- Coming from different nations and being different peoples and tribes give us the opportunity to recognize one another, not to fight one another. To recognize one another, we need peaceful coexistence. 3- This Quranic verse clarifies the difference between two important values: equality and justice. Sometimes extreme equality establishes injustice; let us suppose all of us are equal in this life and equally rewarded also in Paradise in the Afterlife, regardless of our different deeds in this transient life, would this be considered fair? Of course not. Likewise, it will be very wrong to establish equality between the criminals and their victims. God says in the Quran : “Shall we treat those who believe and do righteous works like those who corrupt the earth? Shall we treat the righteous like the wicked?” (38:28). As per the Quran, equality and justice must go hand in hand. In the previous verse, we infer that all of us are equal in this world as human beings regardless of the differences of color, race, culture, family, money, gender, or anything else. But we are not equal in terms of our good or bad deeds and evil or good behavior. The delinquent is not equal to the diligent in the same work, and the criminal is not equal to his victim in the court. This is the norm in our life. The real, absolute justice will be achieved only on the Day of Judgment when Almighty God will judge all human beings according to their deeds and beliefs, not according to their race, culture, color, and wealth. Hence, God in 49:13 says the following: “…The best among you in the sight of God is the most righteous…” (49:13). 4- God only is the One who will identify the righteous people, because He is only the Omniscient One who knows the innermost thoughts and secrets of every human being; thus, the same verse says the following: “…God is omniscient, cognizant.” (49:13). 5- Therefore, believers in this transient world is prevented from self-praise by claiming to others to be righteous, or use such a claim of being religious and pious to gain benefits within business and trade. God says in the Quran: “Do not exalt yourselves; He is aware of the righteous.” (53:32). God has said the following to Prophet Muhammad, all Quran-believers, and the People of the Book (Jews + Christians): “We have decreed statutes and methods for each of you. Had God willed, He could have made you one nation. But He thus puts you in a test, according to what He has given you. So, you should compete towards performance of good deeds. To God is your ultimate return, then He will inform you of everything you disputed.” (5:48). We discern from this verse that there is pluralism inside the real divine message of the Quran, but this pluralism is to make Muslims, Christians, and Jew competing with one another within the way of righteousness, and not within the way of fanaticism and bigotry; for example, they can vie in establishing peace and advocating the higher values and helping the needy and the poor. Generally, competition in Islam is controlled by cooperation in performing good deeds only, as God tells us in the Quran: “And you shall cooperate with one another in righteousness and pity, but do not cooperate in sin and aggression.” (5:2). God says also in the Quran: “Surely, those who believe, those who are Jewish, the Christians and the Sabians, any of them who believe in God and the last day, and lead a righteous life, shall have their reward with their Lord, and they have nothing to fear, nor will they grieve.” (2:62). This verse is repeated elsewhere in the Quranic text: "Those who believe, and the Jews, and the Sabians, and the Christians-whoever believes in God and the Last Day, and does what is right-they have nothing to fear, nor shall they grieve." (5:69). The real, true religion of God is to believe in Him alone and in the Day of Judgment and to maintain a righteous life. Any people who do this will go to Paradise regardless of their religious affiliations. Those who are affiliated to different sects have different houses in which they worship God. According to the Quran, all these houses of worship should have respect, security, and immunity. God says in the Quran: “…Were it not that God repels people by means of others: monasteries, churches, synagogues, and mosques-where the name of God is mentioned much-would have been demolished…” (22:40). This verse talks about the concept of jihad in Islam, indicating one of its purposes: not only to defend one's country but also to defend all the houses of worship inside it for all the believers regardless of their different faiths. The Islamic fatwa must reflect these Islamic values. 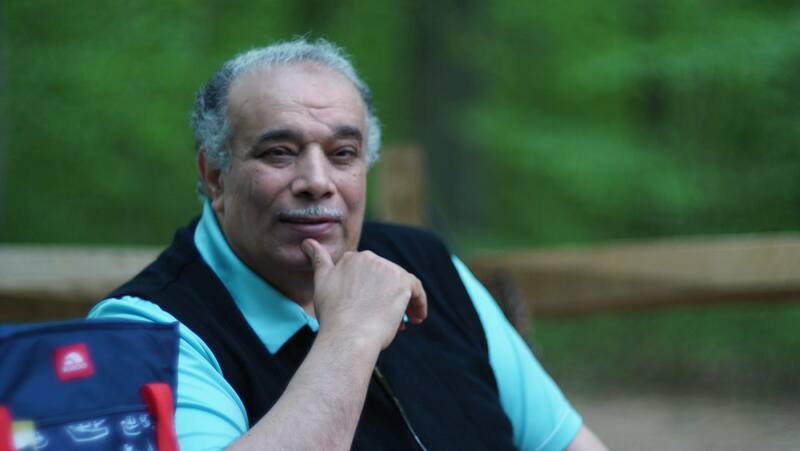 Dr. Ahmed Subhy Mansour is an American-Egyptian distinguished scholar of Islam with expertise in Islamic history, culture, theology, and politics. He was an advocate for democracy and human rights in Egypt for many years, during which time he himself was isolated and persecuted by religious extremists and by the regime.